Corvera Murcia airport RMU private taxi transfers. 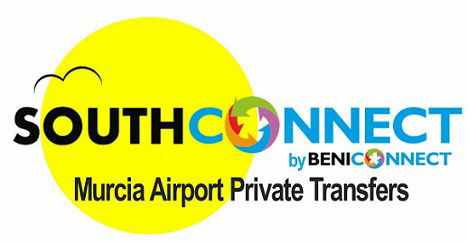 Private Transfers to and from Murcia Corvera Airport (RMU). Fast airport transfers by private taxi to Torrevieja, La Zenia, San Pedro del Pinatar, La Marina, Guardamar and Mar Menor. Prices start from just 39€ each way for up to 4 passengers to local destinations. Minibuses available for group travel. Wheelchair adapted transfers can be booked for passengers in Electric Wheelchairs or Scooters. Currently there are only about 12 flights per day are arriving and departing from the new Murcia airport, therefore shared shuttle transfer services are not yet viable due to small passenger numbers. Private taxi transfers do offer good value for local destinations. How much do Murcia airport taxi transfers cost?